Different Golf Cart Designs: You Can Even Have It Wrapped! First you have to decide on power. Golf cars can be electric carts that are powered by rechargeable batteries, or they can be gas. They also come in a variety of sizes. Although it is most common to see golf carts approximately 7.6’ in length, 4’ wide and 5.6’ high, golf cars can be compact one-person carts, four-seaters or even eight-seaters that carry passengers or cargo. Golf cars can come sparsely equipped from the manufacturer, or can be custom designed to include any number of very cool accessories. They can be made to look like a Cadillac, Hummer or even a motorcycle, and they can even be wrapped! Wraps come in a wide array of graphics, including camo, the American flag and flames! 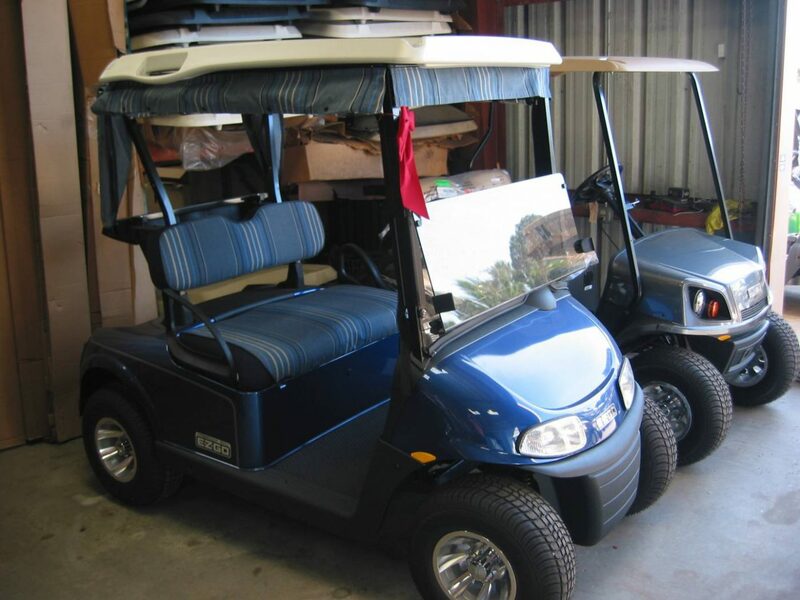 Golf cart owners can also give their golf cart their own flair by adding anything from coolers and cup holders; to stylish seat covers and speakers; radios and roof racks; and headlights and tail lights for night driving. You can even pump up your tires and rims or add brush guards, fender flairs and rocker panels! Gulf Atlantic Vehicles, the New Smyrna Beach area premier golf cart provider carries the world’s top golf cart brands and offers hundreds of options and accessories to create the perfect custom vehicle to match your needs to a “T.” If you have any questions, please feel free to visit Gulf Atlantic Vehicles on Pioneer Trail in New Smyrna Beach or call 386-427-9778.